The book: nothing is more important or more precious. 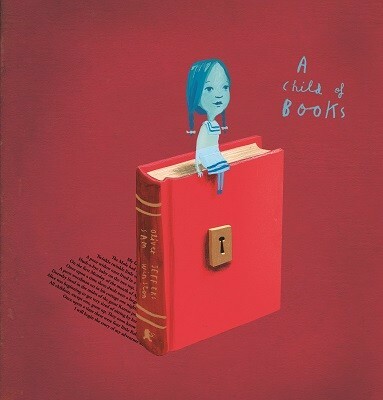 In his first collaboration with the award-winning Walker Books, illustration hyperstar Oliver Jeffers – the genius behind the instant-classics Lost and Found and How to Catch a Star – has joined forces with ground-breaking typographer Sam Winston to present the extraordinary A Child of Books. Soaring passages from masterworks such as Little Women, The Wind in the Willows, Great Expectations and Treasure Island form a very literal and brilliantly-released landscape of adventure. 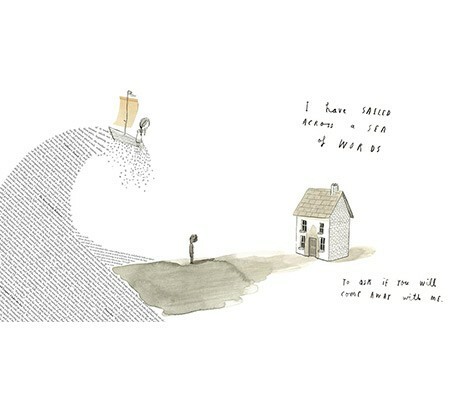 Two children – one a girl who lives for reading, the other a boy yet to understand – embark on a stunning voyage of discovery, gloriously captured by Oliver Jeffers’ unique imagination. A Child of Books will be one of those very rare volumes that will bridge both those new to the pleasures of a book and for those already deeply in love with its promise.